First Pakistani Food Bank, Creating awareness on waste of food & alleviating hunger by using surplus food. 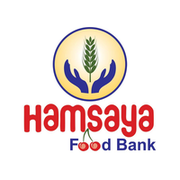 The Hamsaya Food Bank is non- profit organization that distributes foods to avoid hunger to those who have difficulty in purchasing enough food. HFB is committed for those who are in need of food. HFB not only provide more food but also help on the path to self-sufficiency. Hamsaya Food Bank connects people with vital resources to break the cycle of poverty. Hamsaya Food Bank operates on both Warehouse Model & Front Line Model. HFB supply to smaller front line feeders & in majority of cases HFB provide food directly to end users.